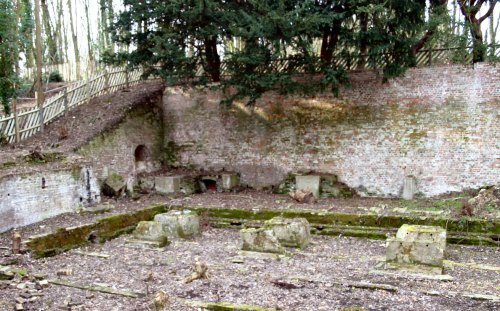 Davington is an ancient parish adjoining Faversham. 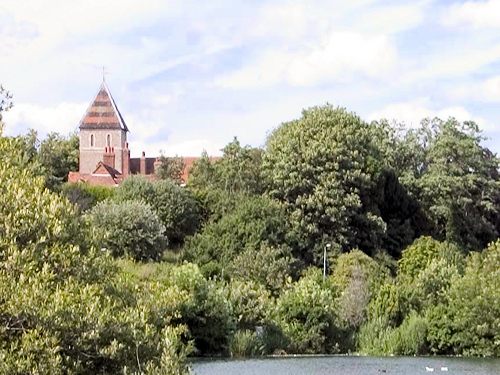 Its medieval church stands in a prominent position on a ridge overlooking Stonebridge Pond and the town, with Davington's popular primary school a short distance from it along Priory Row. Urban Davington forms Faversham's western fringe. 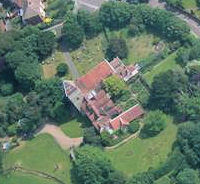 However, the parish extends into the countryside as far as the rural areas of Luddenham and Oare. By a historical quirk, all of what is now Oare village to the south of The Street is still technically in the parish of Davington. Bysing Wood and the local fishing lakes are within the parish boundaries. Oare Gunpowder Works are also in the parish and were originally called Davington Mills. Alongside extensive post-war housing developments, Davington includes industrial areas along the Oare Road and the Western Link Road, where major firms such as Bretts, GIST and Shepherd Neame have premises. 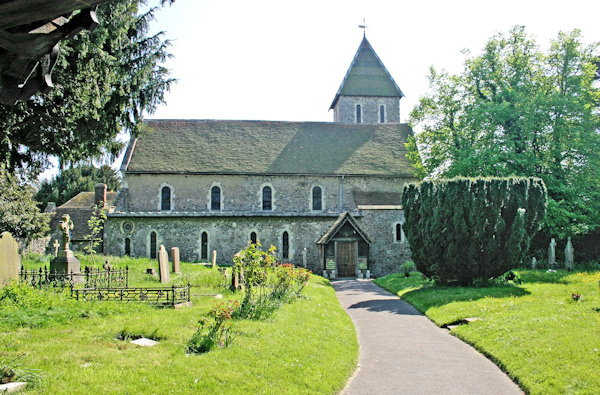 The full name of the current church parish is The Brents and Davington, reflecting the joining together in the 1930s of those two formerly separate parishes. The popular Two Creeks circular walk runs through the parish, between Faversham and Oare creeks. A varied route the walk is one of the eight Faversham Food Trails.